Best of Houzz 2013 - 2019. DKOR Interiors is among the top residential interior design firms with projects internationally and concentrated in the South Florida region. We are a team of professional, energetic individuals with talented designers and experienced managers available to guide our client’s through the flawless and timely execution of any residential design project. 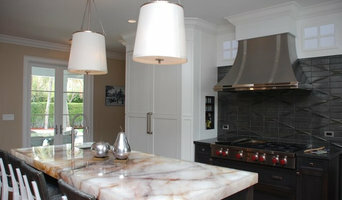 www.dkorinteriors.com Our team takes pride in creating luxurious and innovative homes that have a very intimate connection to our clients and their families. We understand each project we begin has specific needs, budgets, and a level of quality with the work involved. Each home starts with a personalized concept that directly correlates to these needs of our clients and their individual style. We rely on our professional knowledge and advanced experience in the design field to walk our clients through the process of interior remodeling, new construction, and interior finishing with exceptional customer service. Every DKOR member and extended member becomes an integral part of the collaboration process to deliver an authentic style and home identity for our client’s residential spaces. Associates work passionately to offer turnkey design services to a luxury, high-end clientele. Rafaela Simoes and Laila Colvin Acclaimed Brazilian interior designers. The duo has captured the attention of the residential world with their polished design aesthetic. Rafaela earned her Bachelor of Arts degree in Interior Design, from Bennett University in Rio de Janeiro, Brazil in 1999. Laila graduated in Arts and Fashion Design also in Rio in 2001. Interested in expanding her creative portfolio, Laila was hired as an Art Director for a Houston, Texas-based agency specializing in design and technology. In 2009, they formed 2id Interiors. The design duo now heads up a seven-person team and have offices in Miami and Rio de Janeiro. They now have 8 years of working together creating luxury Interior Designs in South Florida’s most exclusive neighborhoods such as Miami, Indian Creek, Fisher Island, Bal Harbour, Aventura, Key Biscayne, Brickell Key, South Beach, Sunny Isles, Pinecrest, Williams Island, Golden Beach, Star Island, Brickell, Coral Gables, Gables by the Sea and many other cities in different states all across USA and other countries such as Brazil, Portugal, etc. Miami's Leading High End Interior Design Firm | Best of Houzz 2018! Nominated among the top 15 interior design firms in Miami. Interior by Maite Granda is one of the most innovated firms within the last 10 years. A team of creative minds (architects, contractors, designers) that works together with their client's ideas by interpreting their desires for a unique extraordinary design that meets functionality and beauty from new construction to design services. Are you relocating to Miami? You can not go wrong with Interiors by Maite Granda Turnkey package. The designer have experience herself all the uncertanties of moving to a new State or Country. "We are proud of our Turn-Key services where we handle all of the renovations, from electrical to plumbing, all the paperwork is managed so that you have a peace of mind that everything will be handled professionally and effectively" while the design services continue it's progress. Interiors by Maite Granda leading South Florida Top Designer's Firm! Susan Lachance Interior Design is a medium sized design firm, centrally located in Boca Raton, Florida. Recently celebrating her 41st anniversary in business, Susan Lachance has been recognized as one of the country's top leading designers in Contemporary, Traditional and Metropolitan design. Having completed projects from Miami to Palm Beach as well as throughout the country, Susan's success is due to her architectural background and the dedication and personal attention she gives to every project. Susan's clients enjoy a hassle free and turnkey experience from start to finish. Whether you are looking for Contemporary, Traditional or Metropolitan Interior design, call the hallmark of design, Susan Lachance today at 561-241-3800. Top Interior Design Firm in Miami www.GuimarUrbinaInteriors.com Working in Coral Gables, Miami Downtown, Brickell, South Beach, Sunny Isles, Bal Harbour, Aventura, Fort Lauderdale and Boca Raton. Guimar Urbina Interiors challenge is to create unique environments that reflects our clients lifestyle, tastes & needs. Projects are controlled and supervised by our Interior Designers and On site Project Managers are visible in every step of the design process thus allowing Guimar Urbina Interiors to be a major force in the industry, and sets us apart from any competition. DawnElise Interiors International is an award winning design firm serving South Florida, New York, Latin America and the World. 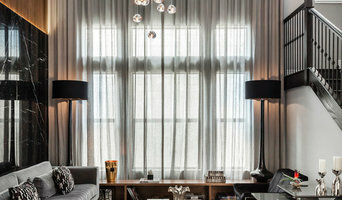 The firm's principal designer Dawn E. Hamilton launched DawnElise Interiors in 2002 and has been building a reputation for service and excellence ever since. Jaime Blomquist is a certified, Licensed Interior Designer with a comprehensive knowledge of all facets of interior design. Her mastery extends beyond beautiful furnishings and fabrics to include a full grasp of Architectural plans that include structural, lighting, electrical and plumbing, innovative and effective space planning and the capacity to integrate thoughtful architectural details into her rooms—ones that both embrace modern sensibilities and pay homage to bygone eras. Jaime seeks to not only create interiors and exteriors that are aesthetically-pleasing and functional but also to manifest spaces that reflect and define her clients’ personas. As she facilitates bringing her clients’ visions to fruition, she repeatedly surpasses initial expectations. Jaime is an expert at taking the formidable “blank canvas” and breathing life into a space, revealing its truest potential. Khadine Schultz is a Brazilian Architect and Interior Designer whose innovation, work ethic, and keen eye for detail have all earned her the reputation as an industry leader across Brazil and beyond. Over the course of a decade, she has gained extensive experience in her field. Growing up, Khadine had a deep affinity for the arts. While children her age played with dolls, she would build homes for them. She also took countless drawing and painting classes throughout grade school. Upon graduating high school, she pursued degrees in Fashion Design and Architecture, and interned as an Architect at a prominent local firm in Brazil. Later she moved to Miami, Florida to work at another esteemed firm for several years before establishing her own interior design business. As an avid traveler, Khadine Schultz has ventured out to 23 different countries (including over 100 cities). Her extensive travels fueled her passion for architecture and all things design, and she now infuses the various cultures, places, and architectural styles she has seen into her interior design initiatives. A good home design professional will hone your style down to its very essence and be able to choose a functional layout that feels natural to you. Interior design companies can be involved as much or as little as the client desires. Many clients who hire an interior decorator in Welleby Park, FL — particularly those who are remodeling — have a good sense of how the room should look and what products they should use. Often clients will insist that interior decorators use the products already present in the house. Other times a designer will need to start from scratch — especially if this is a newly purchased or just-built home. An interior design company will need to figure out exactly what the client needs, which includes organizing rooms, picking flooring and wall colors, and finding furniture to complement it all. Sometimes that means he or she will have to recruit help from other Welleby Park, FL home professionals to help create the perfect look for your renovation. Here are some related professionals and vendors to complement the work of interior decorators: . Do your research before meeting with an interior designer or home decorator in Welleby Park, FL. Ask yourself what you want your space to become and what it will be used for. Figure out the extent of what you need help with, what your must-haves are and what your budget is. Interior design services can add up fast, so be up front with a potential design firm or individual from the beginning. Also, pick an interior decorator that fits your style. Browse through the portfolios of different Welleby Park interior design firms and decide if you would live in those houses. Just because you like something doesn’t mean you could live in it. There's a big difference! Find an interior designer or home decorator in Welleby Park, FL on Houzz. Narrow your search in the Professionals section to find Welleby Park interior designers near you. You can also look through Welleby Park, FL photos to find a room you like, then contact the design firm who designed it.